Pharrell Williams is a major star of the moment. An American singer-songwriter, rapper, record producer, drummer and fashion designer, Pharrell can be expected to have his finger on the pulse of the cultural direction of his audience. So it speaks volumes that his latest denim clothes collection is being promoted primarily for its environmental friendliness. Called RAW for the Oceans and created in collaboration with the Dutch label G-Star RAW, the denim is made from yarn that includes upcycled plastic that was collected from the world's oceans. The project aims to raise awareness about the plastic bags, bottles and other mundane household items that are piling up in oceans, killing fish, birds and other wildlife. 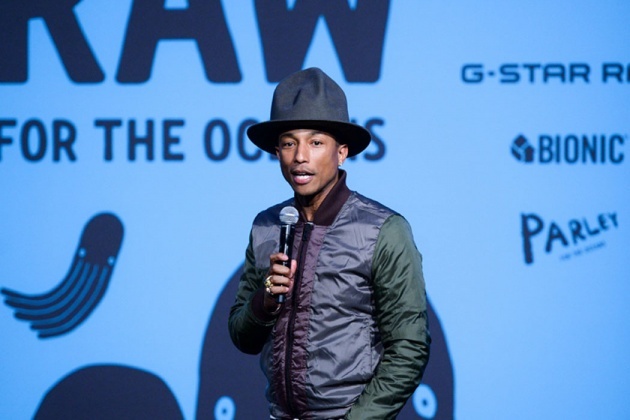 From a trends perspective, Pharrell knows these sensibilities are in line with his audience. Other brands looking to sell to Generations Y and Z will be taking notice.